In my socks and sandals, I was a tourist in Kautokeino. After putting up my tent at Duottar Camping, I hitchhiked up to the closest (and only) restaurant in town. Here I enjoyed pizza, apple cake and coffee while updating my blog and talking to my boyfriend on the phone. It was very cold and windy outside, so I took my time. At 4pm, I waved the waitresses goodbye and stepped outside for a refreshing shower of rain. I ran for shelter to the closest grocery store and to my surprise, there was a barbecue stand with three smiling boys giving away food. They were very interested in my journey, and wondered where to go if they wanted mosquito bites. 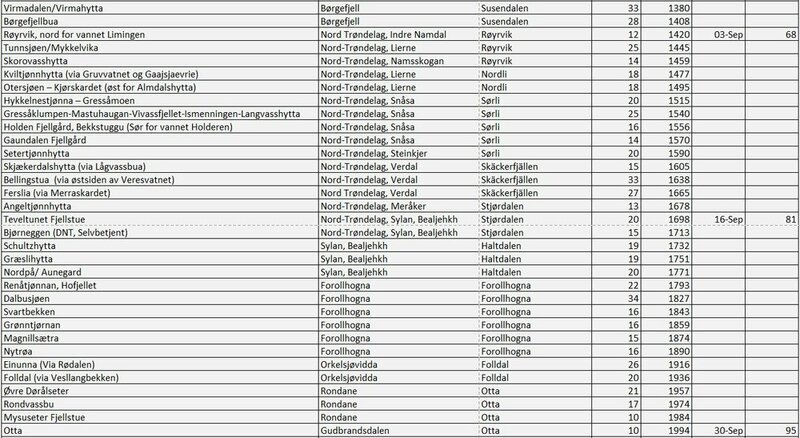 Some friends of theirs, had bet that there were no mosquitoes in Kautokeino, and they wanted to prove them wrong. I told them that I could be their proof. They gave me hot dogs and red beet burgers, and when I left, my stomach was fuller then fullest. Thanks so much guys! My next stop, was the museum. 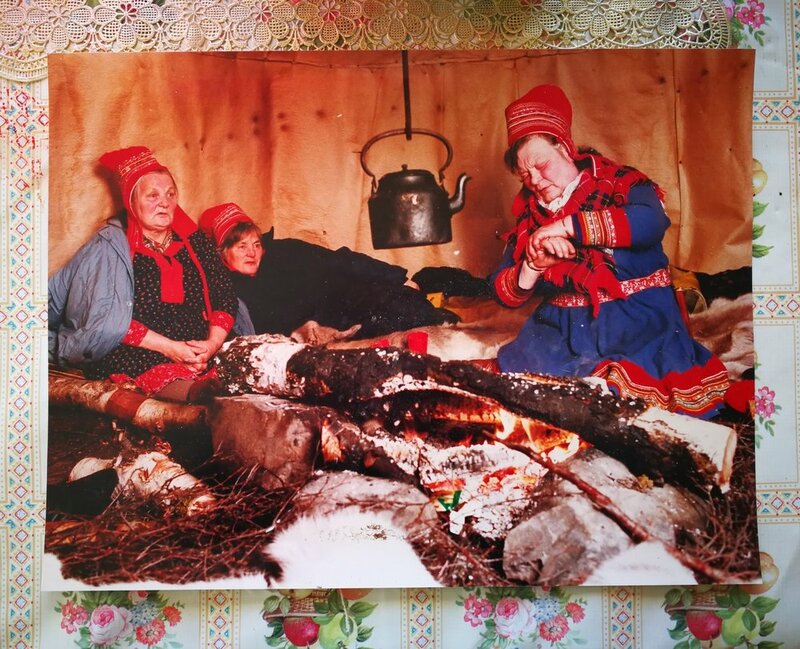 Here I got an insight on how Kautokeino looked like in the late 1800’s and the Sapmi culture. After that, I went looking for a gps. To my huge disappointment, Kautokeino doesn’t seem to need that kind of fancy technology and I tumbled back into a state of fear. I had depended on that for quite some time, thinking “just make it to Kautokeino and you can buy a gps.” Luckily, I had my mom to calm me down and she could guide me through the fear and help me see things more clearly. The next stage of my journey is going to be different to the area I have just been in. I will probably meet people on the way, and the trail is apparently well marked. The trail is called Nordkalottleden, or the Arctic Trail (sounds exotic right). Wikipedia says: “Nordkalottruta is a marked hiking trail in the Arctic region of the Nordic countries. It has a total length of 800 km and lies along the border of Norway, Sweden and Finland. 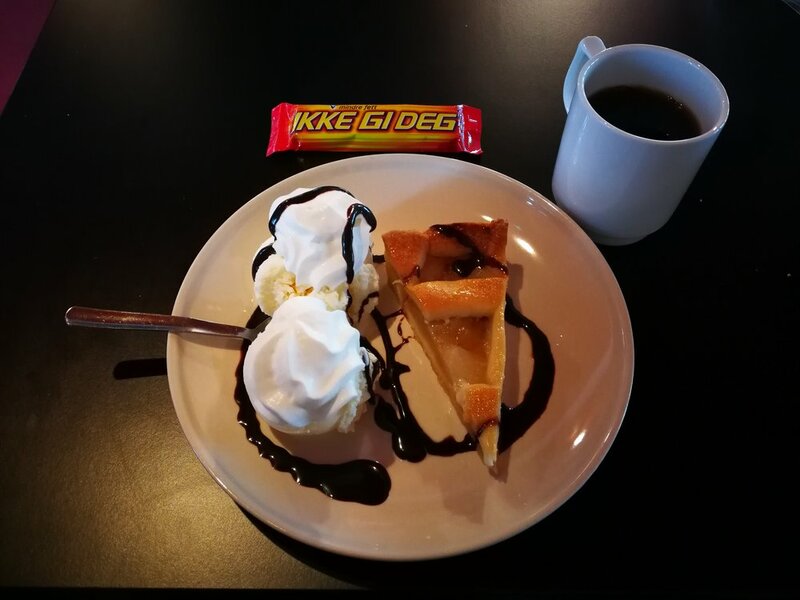 It begins at Kautokeino and of the 800 km, 380 km of the trail lies in Norway, 350 km in Sweden and 70 km in Finland. 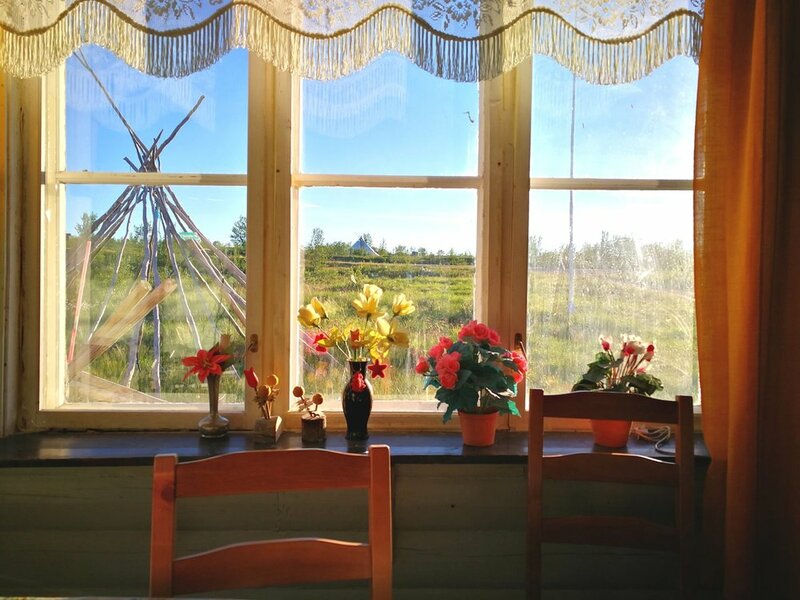 The trail crosses international borders 15 times and ends in the south in Sulitjelma." I’m going to be without a signal for a while though. The next time I'm online, I’ll probably be in Kilpis Finland. So, wish me luck and I’ll give you another update when I can. I’ve posted my itinerary at the bottom of this post. Here you can see where I am day by day… approximately! 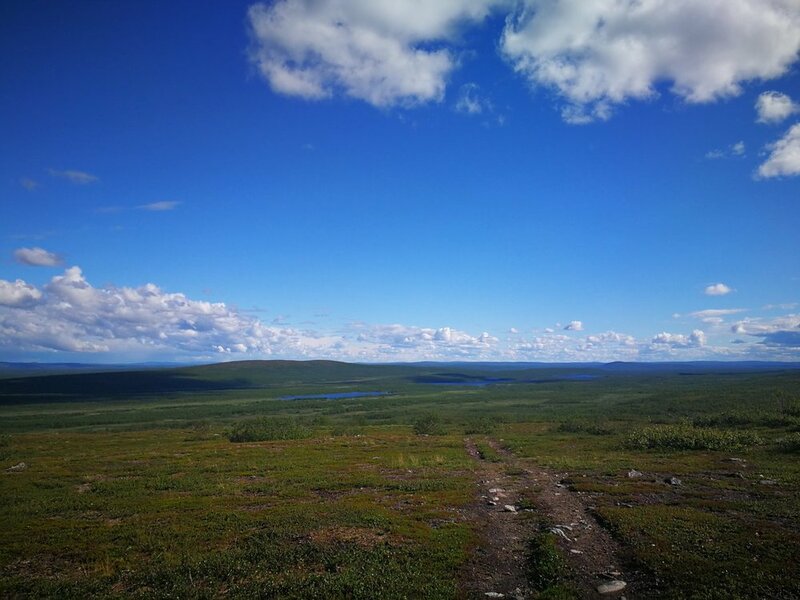 In Kautokeino, I said goodbye to dry feet and headed off to find the trail. It felt good to be back on the trail, at least for a little while. Suddenly, the sky opened up and it was pouring down and within minutes I was soaking wet. I had heard rumors that it was going to be a lot of water in Reisadalen (where I was heading), because of a lot of rainy days and the melting snow… My, how the rumors were true! When it finally stopped raining, I found myself in the marshes knee-deep in water and surrounded by mosquitoes. For an hour, I stumbled on, trying not to go insane. I barely succeeded, but when I reach the mountain, my ally against the bloodsuckers was there and blew them all away. Sweet relief! On my way down the mountain, I started coughing like crazy. I bend over, I couldn’t breathe. When I after a while spat out something black, I understood: I had mosquitoes in my lungs! What a day. I was pretty beat, so I changed my long-hike-plan and headed towards the nearest cabin: Madam Bongos Fjellstue. Mikkel Bongo, a nice man in his early 60’s greeted me with a warm smile and showed me a cabin I could stay for the night. It was too tempting to say no, especially when a warm shower was included in the price. I was invited into his house. Mikkel was a talkative man with a lot of fascinating stories and interests. We were watching videos he had made of owls, old pictures of his mother Madam Bongo (who passed away in 2009) drinking coffee and eating biscuits. His house was full of small trinkets and details, all of them had their story. I felt warm, welcome and comfortable. At 10pm, I said goodnight to Mikkel and went to take a long hot shower before going to BED. So soft! If you are going to hike in Finnmark, or you are in Kautokeino, I warmly recommend a visit to Madam Bongos Fjellstue. A more welcoming man than Mikkel I haven’t met in a long time.